¡TENEMOS UNA GANADORA! – We have a winner! Thanks to the Spanish Film Festival and Singapore Airlines, Esther D. Gutierrez from Brisbane will fly to Barcelona with a friend! Extra Sessions by Popular Demand! Join us for the by popular demand screenings! Álex de la Iglesia’s high-octane and outrageously zany battle of the sexes will shock audiences into laughter and make for a breathless closing night. Winner of 7 GOYA awards including: Best Supporting Actress, Best Art Direction, Best Production Design and Best Special Effects. Join us for the madly entertaining WITCHING AND BITCHING closing night screening preceded by sangria, tapas, live entertainment and Estrella Damm Beer. Experience the happiest day of your life by joining us for Lonia Cava bubbles and cake for this special screening of THREE MANY WEDDINGS with live entertainment. The gorgeous Inma Cuesta plays newly-single scientist Ruth, who is invited to three different ex-boyfriends’ weddings in this unapologetically raucous and entertaining rom-com. Two professional robbers try to outsmart each other as they play cat and mouse through Argentina’s stunning wine country in this delightful combination of swindle thriller and romantic comedy. Embrace this year's Festival Opening with the premiere of LIVING IS EASY WITH EYES CLOSED, followed by a fantastic after party with Estrella Damm Beer, Torres Wines, Spanish Tapas and live entertainment! (Vivir es fácil con los ojos cerrados) Directed by David Trueba. Winner of six Goya awards in 2014 incuding Best Film, Best Director and Best Leading Actor. We are muy emocionados to welcome this year’s festival guest Álex González to Australian shores for the first time ever! Born in Madrid on the 13th August, 1980, Álex’s passion for performance led him to attend one of the most prestigious acting schools in Spain, Corazza, directed by Javier Bardem’s acting coach Juan Carlos Corazza. 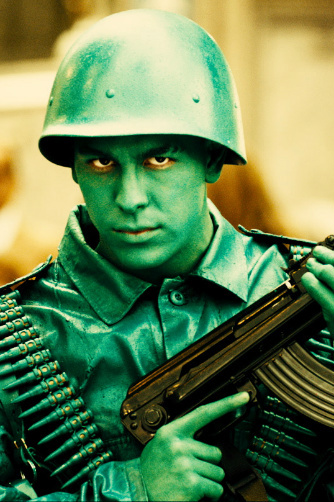 Álex has not only enjoyed a successful and prolific career in Spanish television and film, but also internationally starring as the mutant Riptide in the 2011 blockbuster X-Men: First Class. I am honoured to continue as patron for the Spanish Film Festival in 2014, and I would like to invite you to join me in celebrating the programme of 30 exceptional contemporary Spanish-language films that comprise the programme this year at Palace Cinemas. 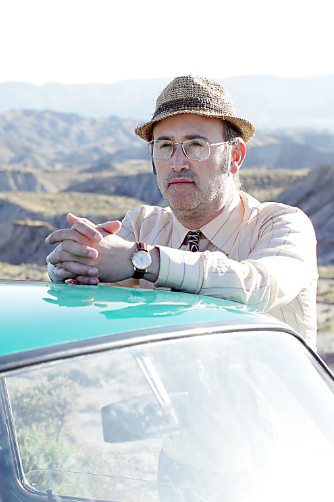 In particular, I am delighted to see two outstanding, multi 2014 Goya-award-winning titles book-ending the festival: the Opening Night film, David Trueba's Living is Easy With Eyes Closed, and the zany Alex de le Iglesia offering Witching & Bitching, which will close the festival. 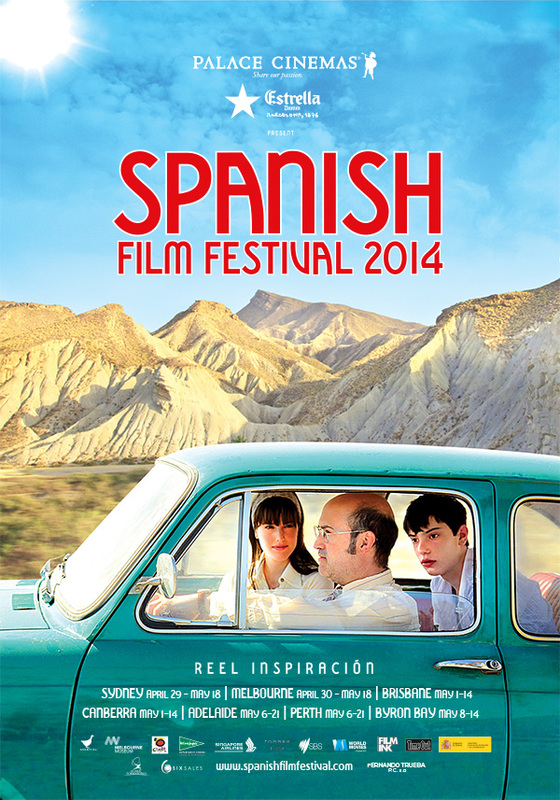 Buy a copy of the Spanish Film Festival poster for yourself! 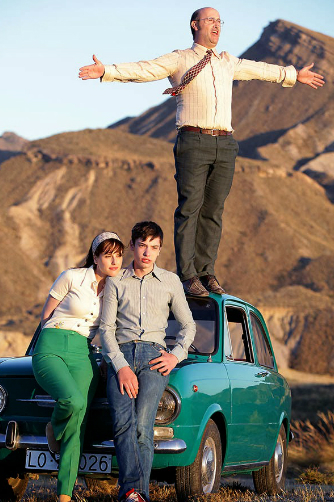 Copyright 2014 © Spanish Film Festival.